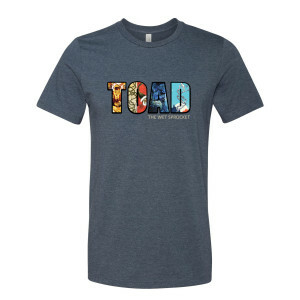 Heather navy poly/cotton blend t-shirt featuring a full-color screenprinted Toad the Wet Sprocket album covers design on front. Super soft and a perfect fit. I absolutely love this shirt! Bought the shirt for my husband. Fit great. Cool design. Soft fabric. Love the shirt. 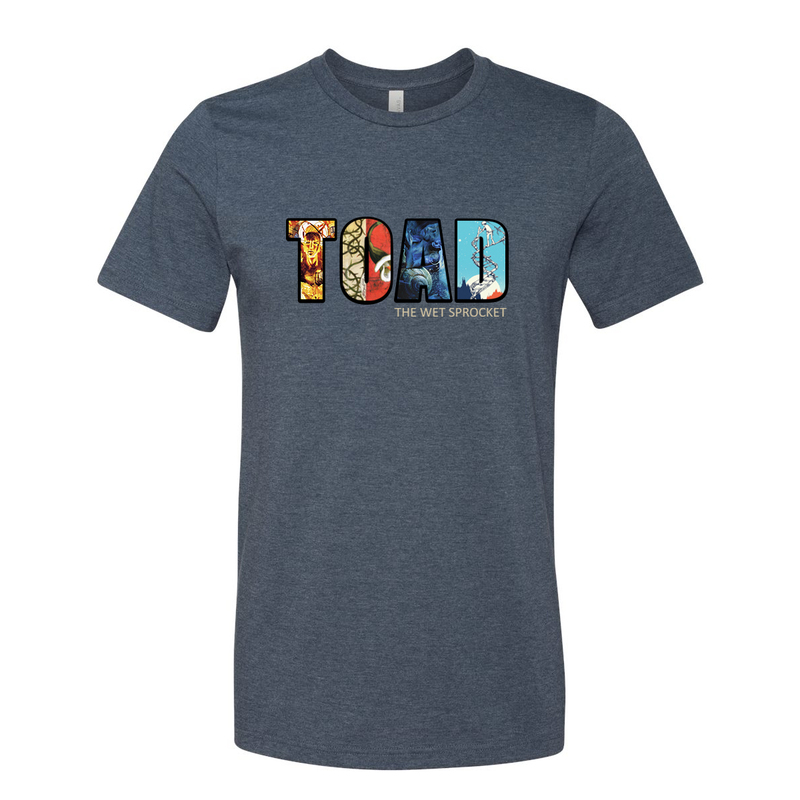 Tried to buy on tour, but they were out, so ordered here. Fits just fine for the size (IMO). Quality &amp; comfortable. Very comfortable shirt and the logo looks perfect. The fit is perfect for the size ordered. Beautiful shirt. My favorite design based on the Dulcinea T. Size does run small so order up a size unless you want a tight fit.